No further meetings held due to lack of timing regarding the transfer of the site to the Council. Group keen to maintain the natural look of the area. Survey of residents view showed the majority in favour of bollards around th grassed area to prevent parking and damage to the grass. P Byrne , WCC, to advise on installation. Walton Village should be a conservation area and whilst there is no immediate anticipated problem the situation may change in the future. SDC have made it very clear that they do not have th funding to support a formal survey and will therefore do nothing. The Church has no funding allocated for cleaning or repainting the names on the memorial. – Discussion held after the meeting with P Quinn when he suggested that the WWPC should lead this activity, working with the Church. Some funding may be required unless a grant can be obtained. 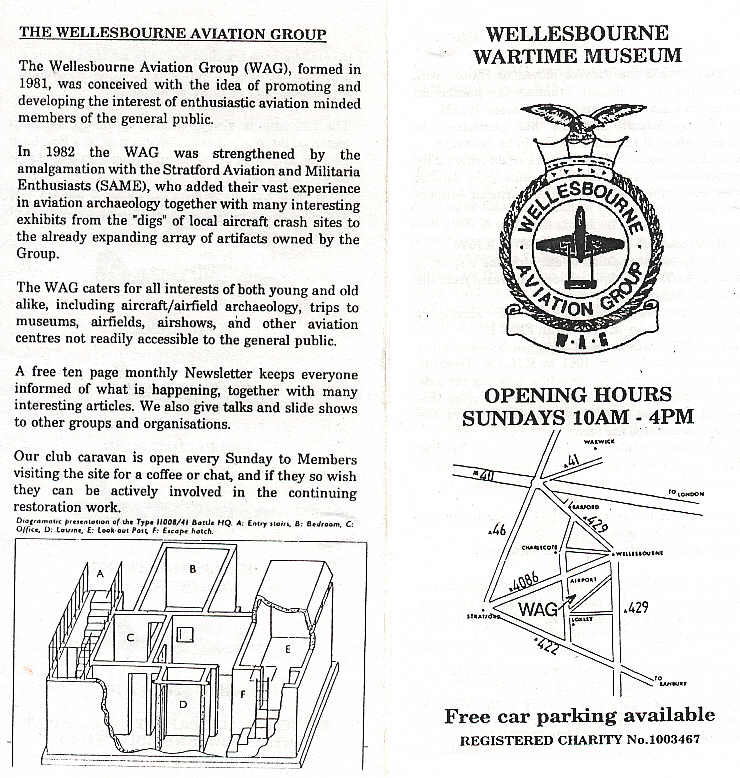 A proposal to have a plaque commemorating the many airmen killed at Wellesbourne to be sited outside near to the War Memorial so that it can be viewed more easily. There is a plaque somewhere inside the Church. Options include a simple plaque stating the number killed or a short list of numbers by country. M Podbury has supplied a detailed list from which this information can be taken. There are items around the village that can easily get lost unless some sort of preservation order is placed on them such as the Village Pump in Church Street. A list of authorised Tree Surgeons is required, and any others should be challenged. Comment on the needs for prior authorisation to be added to the Council Chairman’s report for W&W News.